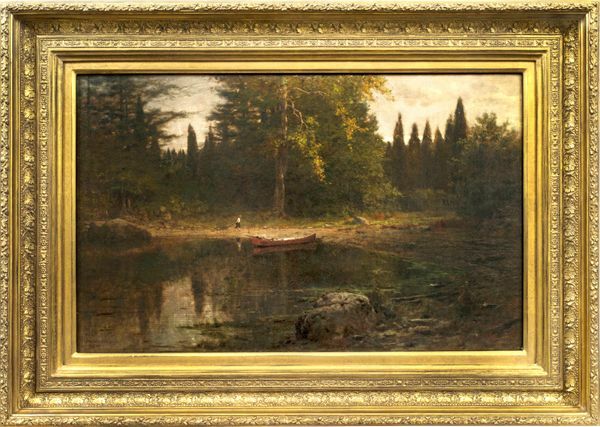 Works such as Evening are testaments to Anderson's natural talent for portraying the natural world. Painted at a time of transition from day to night, Anderson's technique masterfully echoes the backlit shadows and a luminous sky lit up by the dying embers of a sun that has set just past the horizon. 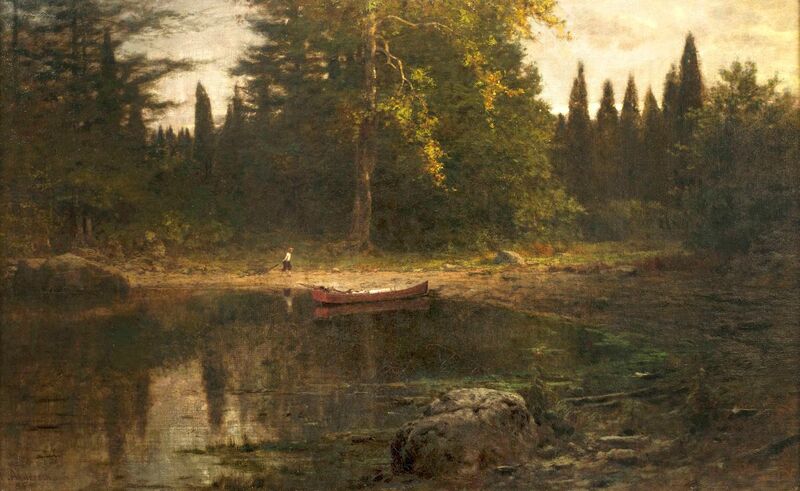 The lone figure in the middle ground—a common trope for Anderson—offers scale, context, and a light narrative to the composition.